‘Machine’, a story by Simone Atangana Bekono, translated by Suzanne Heukensfeldt Jansen, read to you by Joshua Baumgarten A poor writer is tempted by a treatment that promises to strip away all kinds of negative memories and thought circuits and even ‘upload’ some positive associations and behaviors. She scrapes together enough money to let the so-called Head Brain Office scan her subconscious, but wakes up quite confused. 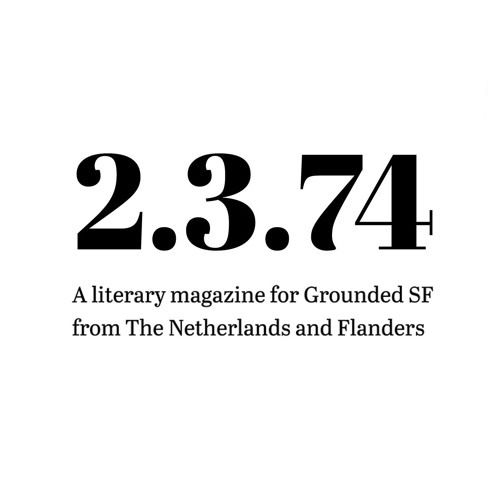 This is a story from literary magazine for Grounded SF "2.3.74" (3), with stories from the Netherlands and Flanders. Read all stories at www.magazine2374.com/.